Remember every noir film you’ve ever watched or hardboiled crime novel you’ve ever read? What comes to mind? 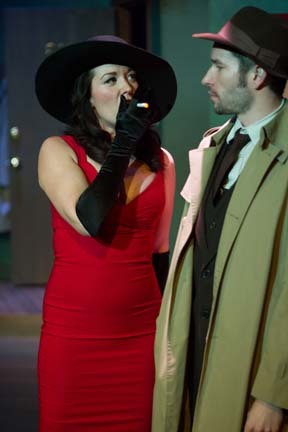 A cynical detective, dangerous streets, rain, copious amounts of alcohol, and, of course, a beautiful femme fatale? Although And Then the Lights Went Out was set in Edmonton, this is the play’s Edmonton premiere. The show runs October 15 – 25 at the Walterdale Playhouse and, as David says, “everyone should come to it because you will laugh! And then you will feel… In that order.” Tickets are $10.75 – $18 from Tix on the Square.